In 2015, The United States experienced 113,500 nonresidential structure fires (the latest year for which data on this are available), resulting in 80 civilian deaths and $3.1 billion in property damage. 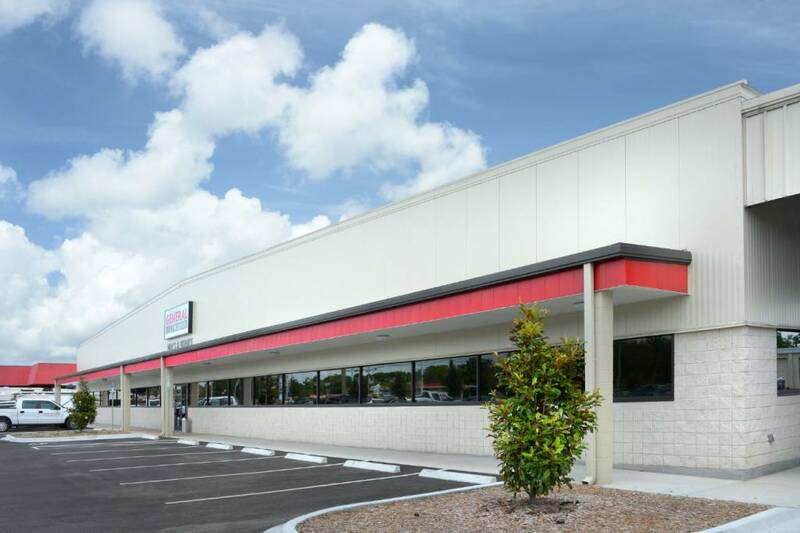 General RV Center in Orange Park, Florida, employed insulated metal panels (IMPs) as system to achieve the required value of R-38. Insulated metal panels (IMPs) as roofing and siding proved to be the most effective choice for the General RV Center project in Orange Park, Florida. Approximately 418 m2 (4500 sf) of IMPs were installed as siding and another 799 m2 (8600 sf) installed as roofing on the new store. The IMPs were installed as siding on the upper two-thirds of the building and were 63.5 mm (2.5 in.) thick. The siding is a 26-gauge panel in stone color to complement the split-faced concrete block installed on the lower third of the storefront. The roofing consists of 101.6-mm (4-in.) thick IMPs with a 24-gauge exterior, coupled with vinyl-faced interior insulation to help achieve the required value of R-38.